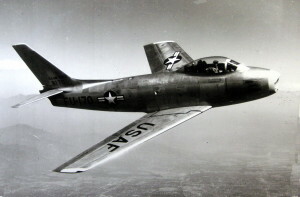 On the morning of June 13, 1951, an accident occurred between to F-86-A Sabre jets over Cumberland, Rhode Island. The flight was part of 58th Fighter-Interceptor Squadron attached to the 33rd Fighter-Interceptor Group, then based at Otis Air Force Base in Falmouth, Massachusetts. The incident began at 8:05 a.m. that morning when a flight of four Sabres took off from Otis AFB for a routine training flight. The day was clear with 12 miles visibility with some haze at 27,000 feet. The planes were to fly a simulated combat mission which would take them over the Providence metropolitan area. Once at altitude, they would split up into two teams called “elements” and would practice making mock attack runs at each other. Each aircraft was equipped with gun cameras to record a “kill”. At 24,000 feet they leveled off and separated into two elements. Each element was designated a color. There was the Red Element, consisting of the Flight Leader, 1st Lieutenant Arnold W. Braswell, and his wingman 2nd Lieutenant Michael A. Corba. The second was Blue Element consisting of 1st Lieutenant Leo R. Kirby Jr., who would be Blue leader, and his wingman 2nd Lieutenant Everett T. Brown. Each element was to consider the other to be enemy aircraft. The Red Element broke away and headed towards Boston while the Blue Element began to make wide circles around the Providence area climbing to 26,000 feet. Once Red Element reached Boston, it turned around and headed back towards Providence. As Red Element was returning they were spotted by Blue Element and Lieutenant Kirby made a run at them centering both jets in his camera sights. At the end of this engagement, Blue Element broke off and headed towards Boston while this time Red remained over Providence. The men of Red Element saw Blue Element coming and began evasive action. 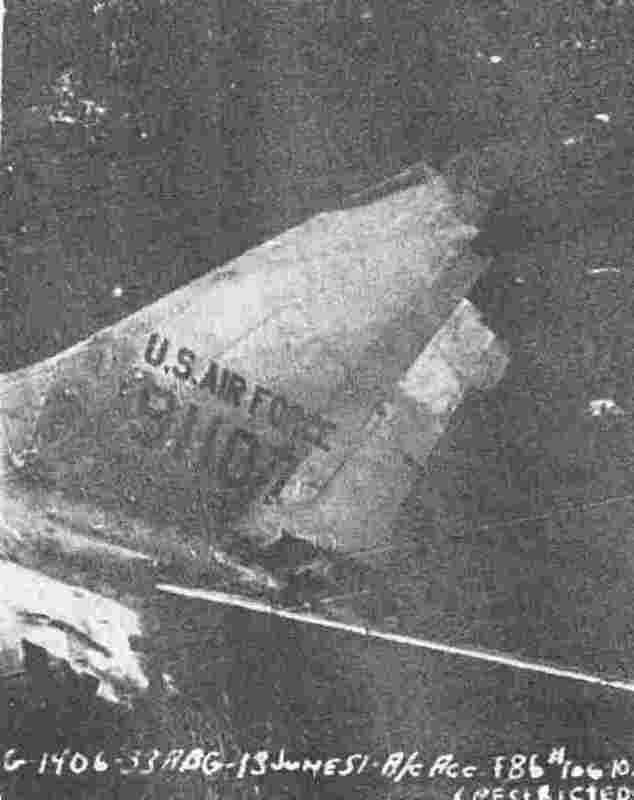 The four aircraft quickly became mixed in a high speed “dog fight” during which Lt. Kirby’s aircraft of Blue Element, and Lt. Corba’s aircraft of Red Element, were involved in a mid-air collision. He later told investigators that he distinctly remembered checking his watch and noting that the time was 8:42 a.m. Satisfied that both airmen had at least survived the initial impact, Lieutenant Braswell instructed Brown to notify Otis Air Base on “B” channel while he switched to “D” channel and called Quonset Naval Air Station for a helicopter to be sent to the scene. In addition, Salem Coast Guard Station in Massachusetts also sent a helicopter and a PBY search aircraft to assist. Both aircraft had been going over 500 mph at the time of the collision and the fact that either pilot escaped was a miracle. As they hung in the air from their chutes, the debris from their aircraft began crashing to the ground in the area of Abbott Run Valley Road in north Cumberland. 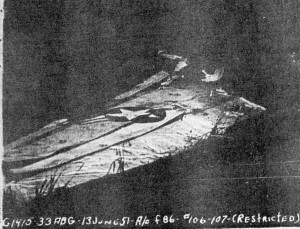 Lt. Kirby’s plane, serial number 49-1107, dropped relatively intact in a field near Rawson Pond. William H. Rawson, a local farmer, was spraying trees on his property with James Postle and Ronald Forte when they heard the explosion overhead and looked up to see the flaming debris falling towards them and began running for cover. The plane crashed in the field 300 feet from Rawson’s home and exploded into a huge fireball. The impact sent an engine portion tumbling through the air for several hundred feet before coming to rest near the Cumberland Grange hall. The explosion set several smaller fires to nearby grass and trees. Before long, .50 caliber bullets from the aircrafts gun magazines began going off sending live rounds wizzing through the air forcing bystanders to dive for cover. 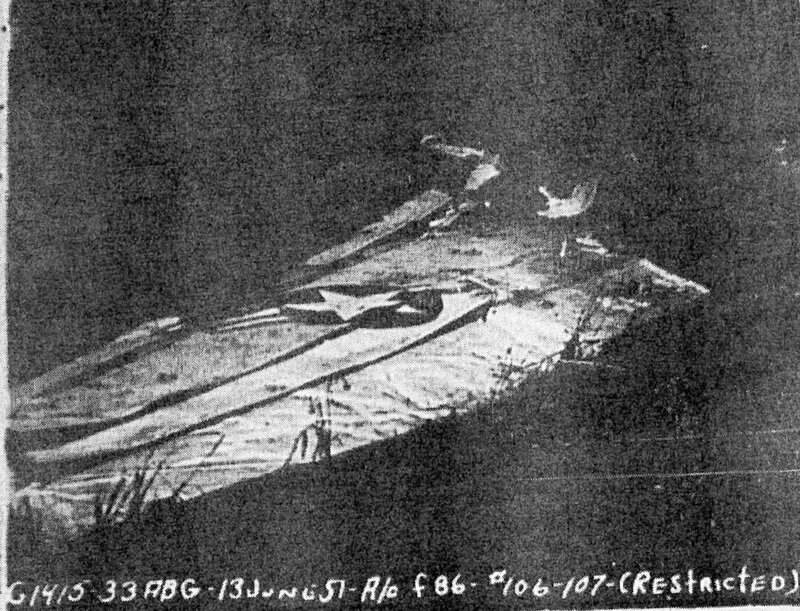 The pieces of Lieutenant Corba’s plane, serial number 49-1106, came down in various yards of the houses along Abbott Run Valley Road. One piece landed in the yard of Mr. and Mrs. Russell White who lived diagonally across from the Community School on Whipple Road just off Abbott Valley Run Road. Another portion slammed into the back yard of Walter and Carrie Buchanan while Mrs. Buchanan was outside washing windows. She ran to see if anyone was inside, but the flames set that plane’s gun magazines off too, sending her running into her house. Photo from Air Force Crash Investigation report. Fire Chief Nathan Whipple and Assistant Chief Shelton Parker were on duty at the North Cumberland Fire Station on Route 120 about a mile away when the accident occurred. Chief Whipple ordered a general alarm sounded which would bring help from other fire stations in the area, then raced off towards the scene. Once there, he took charge of the crash site at the Rawson Farm and sent his assistant chief to oversee the fire at the Buchanan house. Parker later commented to a Woonsocket Call reporter that the jet at the Buchanan house was, “spitting out bullets a mile a minute” Cumberland firefighters from Ashton, Berkeley and Valley Falls responded, as did firemen from the Manville station in Lincoln, as well as companies from North Attleboro, Massachusetts, and the Cumberland town ambulance. About four miles away in North Attleboro, Massachusetts, Patrolman Joseph A. Joubert was on a traffic detail in front of St, Mary’s Church when he heard the explosion and watched the planes fall from the sky. When he saw the parachutes, he commandeered a passing ambulance and directed the driver to head towards the scene. Lieutenant Kirby landed in heavy brush on the east side of Abbott Run Valley Road not too far from his plane and was helped by several nearby residents who ran to his aid. He was suffering from injuries related to the bailout, and as Officer Joubert arrived with the ambulance, Kirby was placed inside and taken to Notre Dame Hospital in Central Falls. Lieutenant Corba came down through some utility wires which softened his landing, as he dropped by the side of Abbott Run Valley Road, in front of the home of Mrs. William G. Carpenter. His injuries were more severe than Kirby’s, but not life threatening. He was assisted by James Welch and George Miller who helped him out of his parachute harness and drove him to Notre dame Hospital in Mr. Welch’s personal vehicle. They later told a reporter from The Providence Journal that all the way to the hospital Lieutenant Corba repeatedly thanked God and the engineers who designed the automatic ejection mechanism. 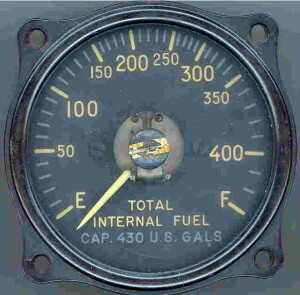 A Fuel Gauge from an F-86-A Sabre Jet. State and local police also raced to the scene and upon learning that both pilots had been taken to the hospital before their arrival focused their attention on trying to keep the throngs of curious onlookers away. Shortly afterwards, a detail of National Guardsmen led by Major Robert W. Tucker arrived from Hillsgrove, (Now T.F. Green State Airport. ), and took over the scene. Lieutenant Kirby had joined the 58th FIS on May 25th, only seventeen days before the accident. He earned his pilots wings on February 25, 1949, and flew 102 missions as a combat fighter pilot in Korea with the 36th Fighter Squadron of the 8th Fighter Wing. In all that time he had logged 925 flying hours and had never had any previous accidents. Lieutenant Corba received his wings September 15, 1950, and joined the 58th FIS October 16, 1950. 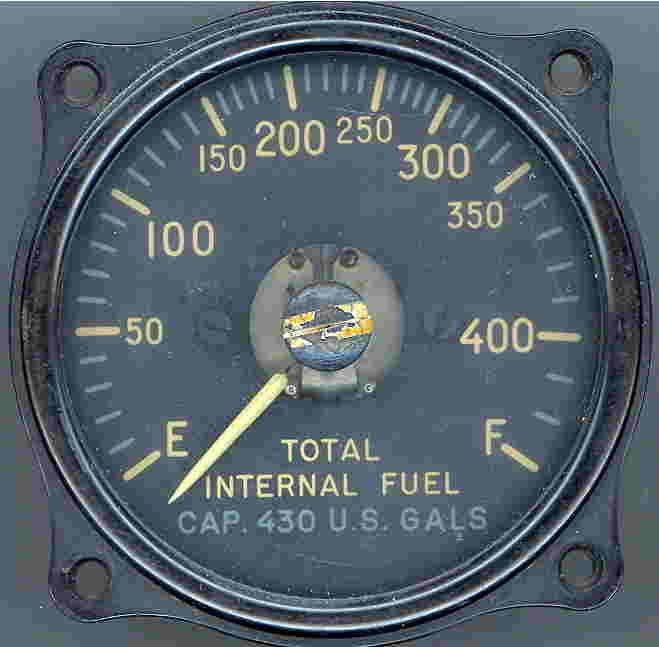 Up to the date of the accident he had logged 505 hours of flight time. He had just celebrated his 23rd birthday less than two weeks before the crash. Lieutenant Braswell later went on to have a distinguished career with the U.S. Air Force, rising to the rank of Lieutenant General in command of the entire Pacific Air Forces, in charge of over 34,000 personnel, eight major air bases, and numerous other facilities. In 1952 he was sent to Korea where he flew 155 combat missions, and later flew 40 additional combat missions in the Vietnam War in 1967. Overall, he logged more than 4,500 hours in the air, most in jet fighters. He earned the Distinguished Flying Cross, Distinguished Service Medal with oak leaf cluster, Defense Superior Medal, and the Legion of Merit with oak leaf cluster. He retired October 1, 1983, with 33 years of service. The Evening Bulletin, “Pilot In Crash Unhurt”, June 15, 1943, Page 3. The Evening Bulletin, “520 MPH Jets Crash 30,000 Feet Over R.I.”(Two Pilots Parachute To Safety), June 13, 1951, Page 1. The Woonsocket Call, “Jet Debris Moved, Abbott Run Serene”, June 14, 1951, Page 1. The Woonsocket Call, “Probe Started In Cumberland Jet Air Crash”, June 15, 1951, Page 10.